Constant stubbornness and desire to get what they want, it is certainly a characteristic of persons under the sign of Taurus. They always try to have their way, and when already admit that somebody is right, of course must do it in their own way. Thanks to that they can work as great negotiators, who are more often needed in many large enterprises. People born under this zodiac sign when already make a decision, it’s hard for them to change it. This is obviously inborn characteristic of the man, but in Tauruses it is more often manifested. Their stubbornness can sometimes be admired by other persons, and can be regarded as leaders of the group. High doggedness often causes that Tauruses achieve a lot of success in life. Their extraordinary strength and energy is certainly a characteristic feature for such people; however very often they need quite a lot of time to accomplish their plans. On the other hand, this is good, because if something is thought over several times, there is no need to change it. Tauruses honestly love, respect nature and animals. They have a good heart and help other people. 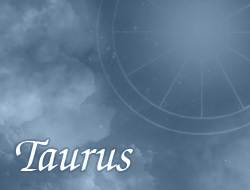 Tauruses try to preserve safety and stability in their life; they don't like uncertainty and awkward situations. It can usually concern a need to collect money or other valuables, as well as a sense of constancy in emotions.